Daily operations at Williamson County CASA are upheld by a talented team of professionals with extensive experience in helping children in difficult and disheartening situations. They are driven by a single mission: Advocacy of the best interests of abused and neglected children. And they are motivated by a single vision: Every child in a safe and permanent home. Master of Arts in Counseling Psychology from Trevecca Nazarene University, Bachelor of Arts in Social Work from University of Kentucky. Marianne is also a Licensed Senior Psychological Examiner, and a Nationally Certified Bereavement Facilitator. Thirty years of experience as a therapist working with agencies such as Miriam’s Promise and Catholic Charities as well as having a private practice. Instructor of Psychology I & II and Psychology of Adjustment at Columbia State Community College and Kentucky Department for Human Resources in the Bureau for Social Services. Most recently as coordinator at the 21st Drug Court in Williamson County, TN. My commitment to CASA stems from my belief that children are our most valuable treasure. If children are to thrive, they must be provided a safe, secure, and loving environment. Unfortunately, not all children have these basic needs met. For those children, there is CASA. CASA is the voice for the child within the court system. “Safety and security don’t just happen, they are the result of collective consensus and public investment. We owe our children, the most vulnerable citizens in our society, a life free of violence and fear.” – Nelson Mandela. 25 years of experience in marketing and founder of Write Word, a marketing and PR agency. Nearly fifteen years of experience in counseling with a private practice both in Seattle and Nashville and work with Restoration Counseling Services in Seattle. In our world of ever-increasing distractions, it appears the lost and the lonely are overlooked. It seems to me that folks hear and see suffering but convince themselves they can’t make a difference, don’t know where to begin, or don’t have time to help. I was raised to believe that just one life can make a difference and that an army of people can change a city’s landscape. That is why I joined Williamson County CASA, an organization that mobilizes people to serve a population in need. For me, there is no greater mission than to transform a child’s hurting to hope. Tami has an extensive career working in special needs international and domestic adoption programs. As well, she has over a decade of experience practicing as a therapist for families and children. Every child is valuable and needs to know that they are precious. Children need a safe and secure environment to thrive and grow. Unfortunately, there are numerous children in our community whose basic needs are not being met. Instead of being able to play and enjoy being a child, many face situations where they experience abuse and neglect. I believe in the impact one consistent and caring adult can make in the life of a child. For a child involved in the juvenile court system, their Court Appointed Special Advocate can provide them with a consistent and caring adult who is their voice within the court system. BS in Health Science – Social and Behavioral Science – University of South Florida, Tampa, Fl. 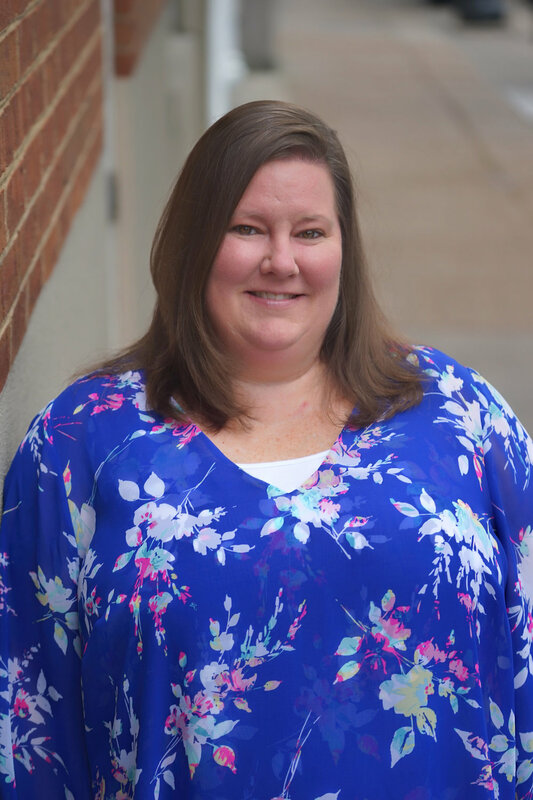 Previous to CASA, Rachel was an Advocate Supervisor with the Guardian ad Litem program in Tampa, Florida after volunteering there as an Advocate. As well, Rachel has experience in legal protocol, having been a Legal Assistant while she earned her Bachelor’s Degree at the University of South Florida. As children, most of us grew up having our basic needs met and more, we had a roof over our head, food on the table, and a family that loved and supported us. However, some children are not so fortunate and many face constant terrors at home. When children are involved with the juvenile court it can be very intimidating. Fortunately, there are CASA volunteers that are with them every step of the way. I believe in CASA because they truly make a difference. Studies show that children with a CASA have a better chance of finding permanent homes and their families receive more services. Experience shows that children trust their CASA, as they are often one of the few constants in that child’s life. While everything else in their world may be coming and going, they can count on their CASA to be there for them and to fight for them. Megan’s career in Social Work began with a Case Worker position at the Department of Children's Services in Johnson County, Kansas. She then transitioned into substance abuse casework and has over six years of experience in the field. Every child is a gift. Every child deserves to be cherished, protected, mentored, guided and loved. Unfortunately not every child gets what they deserve. Working for Williamson County CASA and volunteering as an advocate allows a channel to a child that needs a voice for what is in their best interest. In a world with such great opportunity we would hope that these children, that may not get the proper guidance and care, would be guided through the court system into a place where their voice could grow and where they can be given what they deserve most. Internship at the Helen Ross Mcnabb Center in Knoxville, TN working with children who have experienced trauma and abuse. Martin Luther King, Jr. said, “Our lives begin to end the day we become silent about things that matter”. For the children that CASA serves, raising a voice can be the deciding force in his or her destiny. These children face abuse and disregard routinely, and when a CASA takes on a child’s case, that child may be meeting the first person in their lives who will listen to, speak-up for, and reinstate the safety and stability that every child deserves. Children are innocent and helpless, but they are also resilient. I believe that the strength of a CASA in a child’s life can raise his or her resilient voice and provide protection for that voice. After all, it simply shouldn’t hurt to be a child. Rocklin has completed advanced training as a Facility Dog and he is trustworthy in professional settings. Rocklin can perform over 40 commands designed for the work he does with the children we serve. Rocklin is a facility courtroom dog who works with Williamson County CASA. Rocklin goes to court, attends the Foster Care Review Board with children, and visits schools and other civic groups to tell people about CASA. While Rocklin trained for two years alone, he and his handler, Marianne Schroer, trained together for two weeks at the Orlando campus to learn to how to work with each other. Rocklin goes to work with Marianne at CASA every day and goes home with her at night. He loves working with CASA and juvenile court where he helps both children and adults who are going through a difficult time.